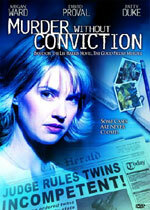 adapted as "Murder Without Conviction"
Synopsis: The mother of "idiot savant" twins was brutally murdered with her own kitchen knife on Good Friday, 1950. Alone with the body until its discovery on Easter Sunday, the retarded but gifted twins left their bloody fingerprints all over the Brooklyn apartment. If they didn't kill their mother forty years ago, who did? 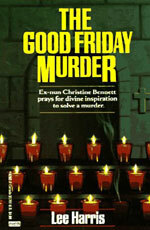 Christine Bennett, ex-nun and expert sleuth, volunteers to investigate the 40-year-old murder. She'll move heaven and earth to exonerate a pair of retarded savant twins, now senior citizens, of their mother's murder on Good Friday in 1950.